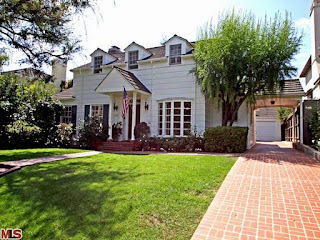 The Westwood home at 1559 Club View Dr, LA CA 90024 lasted 15 days on the market before accepting an offer on 10/14/11. Listed on 9/28/11 for $1,595,000...no price reductions were needed to induce the sale. The home sits across the street from the Los Angeles Country Club and gets some peekaboo views of the golf course through the trees. This east coast traditional style home has some period details in tact, as well as various upgrades to the kitchen and baths. The bedroom mix includes 3 bedrooms with 2 upstairs and 1 down. I thought the backyard was spacious and featured a nice size grassy area and a pool. On 12/08/11, 1559 Club View Dr closed for $1,558,303 |$636 $/sf|. According to the MLS, the home is a 3 bedroom / 3.75 bath, 2,450 sf on a 8,100 sf lot.